Tigre de Cristal in the Primorsky Krai Integrated Entertainment Zone outside Vladivostok defines frontier gaming. 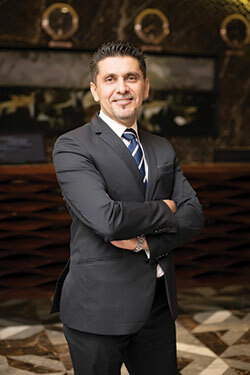 “We’re in the middle of the forest and it’s just us,” Tigre de Cristal COO Stylianos Tsifetakis says. Yet, since its November 2015 opening, Tigre de Cristal has welcomed nearly one million visitors, formulated ambitious expansion plans to cement its leading role in what it hopes will become a casino cluster on Russia’s Pacific Coast and created associations with two of the biggest names in Macau gaming. 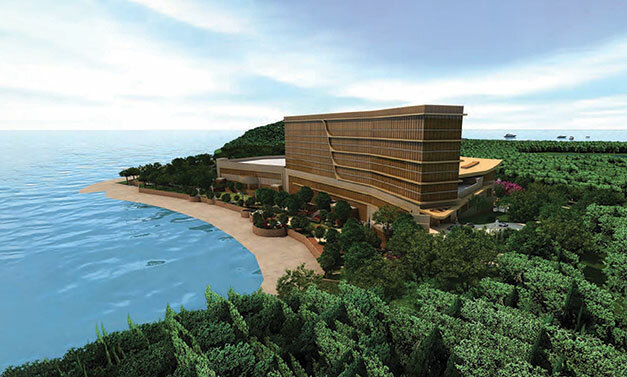 In 2013, Summit Ascent’s then-chairman Lawrence Ho signed an agreement with Russian authorities to partner in the first casino resort in the new entertainment district that’s about 50 kilometers (31 miles) from downtown Vladivostok but just 15 minutes from the city’s international airport. Some 300 million consumers live within a three hour flight, including 130 million in under-served northeastern China. Summit Ascent acquired a majority stake in the resort in 2014. Ho sold his stake in Summit Ascent in late 2017. Taiwan’s First Steamship Group, with shipping, retail and property interests, is now Summit Ascent’s largest shareholder. First Steamship Chairman Kuo Jen Hao, a graduate of Taiwan’s Aletheia University and a certified public accountant in New Jersey, now serves as Summit Ascent’s chairman and a non-executive director. Andrew Lo tells Inside Asian Gaming the purchase of Summit Ascent shares “is just an investment, as we think its stock undervalued.” However, Lo, who serves as Suncity Group’s chief investment officer and works on overseas business development, mergers and acquisitions, sees scope for cooperation between the companies on the junket side. Lo adds that Suncity expects to do business with other Primorsky casinos but doesn’t plan to invest in them. The link with Suncity fits Summit Ascent’s strategy of diversifying its junket pool beyond North Asian groups that it claims demanded higher commissions. Tigre de Cristal has a base rebate rate of “approximately 70%” of VIP revenue, according to Summit Ascent Executive Director Eric Landheer, with additional incentives for hitting certain rolling chip thresholds. Last year it paid out 77% of VIP gross win as commission, equivalent to 2.4% of rolling chip volume. In Macau, commissions are limited to 1.25% of rolling chip volume and revenue share tends to follow a 40-40-20 pattern: 40% tax, 40% rebate and 20% to casino, with some 40-50-10 arrangements. At Tigre de Cristal, tax was 3.14% of gaming revenue and was not revenue-based. Tax rates are currently set at 125,000 Russian rubles (US$1,943) monthly per table and RUB7,500 monthly per gaming machine position. Summit Ascent recently reported gaming revenue of HK$419 million (US$53.4 million) in 2018 and total operating revenue of HK$463 million, down 1.6% from 2017. That was largely due to a 17% decrease in VIP rolling to HK$15.6 billion and 30% fall in VIP win after rebates to HK$109 million. Those drops came as Tigre de Cristal sought new junket arrangements and focused on beefing up its mass market operations. A weaker ruble also contributed to the overall fall. Mass table play became Tigre de Cristal’s largest revenue source, growing 26% to HK$167 million. Slot handle increased 30% to nearly HK$2.9 billion, with slot win up 19% to HK$143 million, also topping VIP revenue. Hotel occupancy nudged up to 63.4% from 62.2% in 2017 – Tsifetakis says guest rooms are regularly full Friday through Monday. Adjusted property EBITDA rose 4% to HK$181 million and EBITDA margin increased three percentage points to 39.2%. In addition to its more profitable business mix, Tigre de Cristal also achieved savings through cost control and localization, with 97% of its 1,050 employees Russian citizens. Focused on second half improvement in VIP roll from HK$6.5 billion to HK$9 billion plus strong mass growth, Union Gaming Managing Director in Macau, Grant Govertsen, upgraded Summit Ascent to a buy. Adding Suncity to the VIP mix suggests to Union that VIP volume could reach HK$30 billion by 2020. 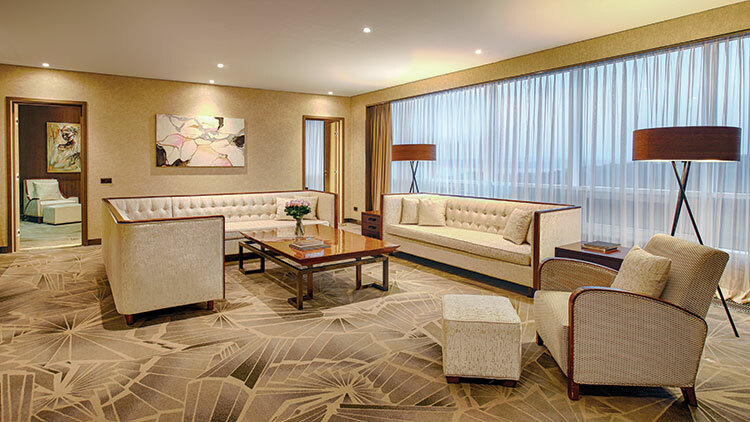 Named “Russia’s Leading Resort” by the World Travel Awards last June, Tigre de Cristal offers a world class product in what is often seen as an “end of the world” location. The hotel has 121 rooms in seven categories and if you woke up in one, you’d swear it bore a top Western brand. The five-star property, built for US$172 million, boasts two restaurants, one casual Pan-Asian and Western, one fine dining steakhouse, and four bars, with a private club expected to open soon, plus a handful of shops including a jeweler and a diamond and watch boutique. There’s also a spa, karaoke and virtual golf (and in case one particular driving simulator fan is tempted, a presidential suite). The casino has a total capacity of 58 tables and 333 EGMs, with seven junket rooms. 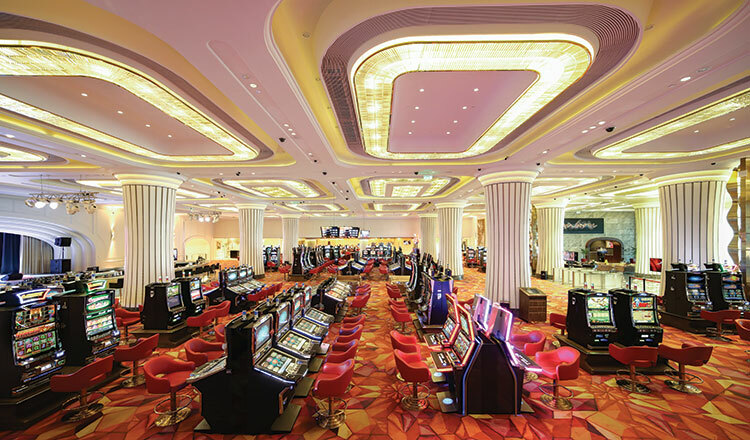 Baccarat is the most popular game as high end customers in particular tend to come from China, with Koreans, Japanese and Russians – allowed to play with no entry fee or visit restrictions –rounding out the daily average of 1,000 casino visitors. Other table games are blackjack, roulette, sic bo and casino poker variants. The betting floor color scheme emphasizes earth tones and has the comfortable feel of an oversize fur coat. Players must navigate some Russian regulatory quirks. For starters, casino guests must register with a passport or Russian national ID to enter. 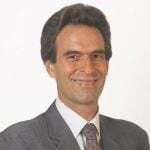 Russia requires that all foreign currency purchases and sales take place at banks, so the casino floor has a bank branch operating 24/7, offering competitive exchange rates, Tsifetakis assures. Tigre de Cristal casino adds its own wrinkle with bets and chips denominated in TDC units, equivalent to RUB60 or roughly US$1. On the main floor, players can squeeze their baccarat with minimum bets starting at 50 TDC. Junkets and select VIPs get short-term credit, generally repaid in less than two weeks following the visit, with no balances beyond that window and no impairments reported. To expand guest capacity, Summit Ascent says it has begun preliminary work to build villas and serviced apartments adjacent to the current resort. The additions will increase the key count by approximately 50%, according to the earnings statement, with completion scheduled early next year. That’s in advance of Tigre de Cristal Phase II, part of the original plan for the resort that’s been under revision with the changes in ownership. According to the earnings filing, Phase II will add hotel and gaming capacity, new F&B choices, an indoor beach club and, in First Steamship’s wheelhouse, a premium outlet mall. Summit Ascent is now targeting opening the first stage by the third quarter of 2021. By that time, Summit Ascent expects that Hong Kong listed NagaCorp and Russia’s Diamond Fortune will have opened their Primorsky casinos. Shambala, which ran a casino in the Azov gaming region that was eliminated at the end of last year, also announced plans last June for a Primorsky casino. Innovation Group Director Michael Vanaskie examines the potential cluster effect in Primorsky in a recent monograph, using Macau and Manila’s Entertainment City as spectacularly successful examples. He notes that the proposed scale of investment in Primorsky, US$2.7 billion, is well below the US$23 billion in Macau during the first decade of casino liberalization and roughly half of the US$5 billion in Entertainment City. He sees another key obstacle to a successful cluster in the Integrated Entertainment Zone (IEZ). “I think the biggest challenge is the fact that there is not a strong existing foreign tourism base in Primorye,” Vanaskie writes, using a common informal term for Primorsky, in response to questions from IAG. “This doesn’t mean that Primorye can’t succeed as a gaming destination, but to become a top gaming destination within the region the IEZ will have to induce a large number of foreign visitors. Being a regional gaming destination neighboring China, Korea and Japan would likely suit Primorsky and its backers just fine. “We are the closest European style city in Asia. 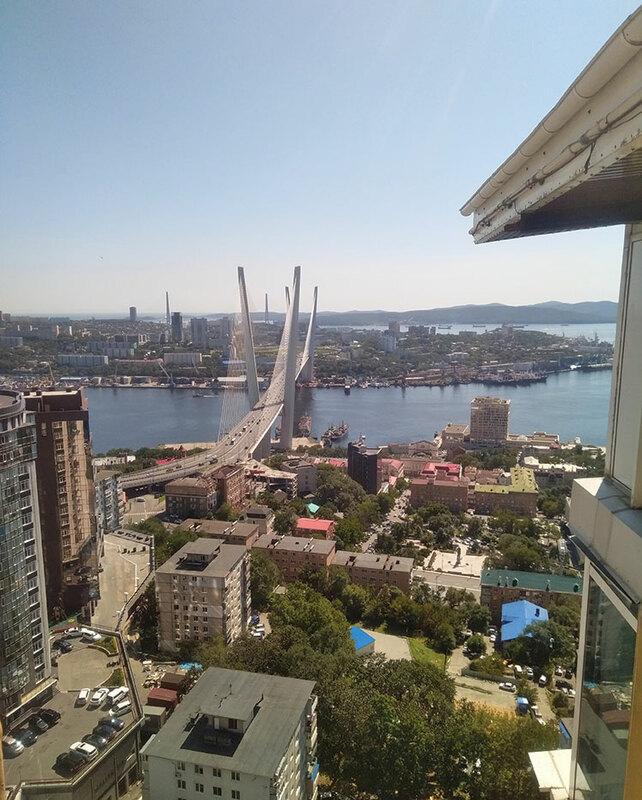 Around that, we have many other options,” Primorsky Province Tourism Department Director Konstantin Shestakov says of Vladivostok, Primorsky’s capital with a population of 600,000. Russian officials right up to President Vladimir Putin have been working for nearly a decade to put Primorsky on the tourism map. Until 1992, Vladivostok was a closed city due to its strategic role as the home of the Soviet Pacific fleet. Its international coming out party, the 2012 APEC Summit, included US$20 billion in infrastructure improvements, from a new airport terminal and runway improvements to a new campus for Far Eastern Federal University – the APEC venue and now home to the annual Eastern Economic Forum that brings together top officials from Russia, Japan, South Korea and Mongolia – all connected with iconic cable-stayed bridges, one of them the world’s longest. Formed around vast Golden Horn Bay with steep hills, Vladivostok evokes comparisons with San Francisco. Vladivostok has a branch of Saint Petersburg’s renowned Mariinsky Theatre, playing its sixth season in a state of the art opera house built for it. Rural Primorsky is home to Siberian tigers, leopards, bears and marine mammals from walruses to whales. Exceptional seafood heads the menu of what’s an emerging foodie destination. Those attractions were enough to lure 780,000 visitors in 2018. The only Asia-focused area among Russia’s four zones for legal gambling opened after the 2009 shutdown of the nation’s casinos, Primorsky Krai (a Russian term for border region) Integrated Entertainment Zone measures 619 hectares (1,530 acres). About 40% of the zone has been offered for development so far. “The area has beautiful lakes, hiking trails, skiing, ice skating, hunting and numerous outdoor attractions that will be further developed with increased investment and tourism growth,” NagaCorp Chairman Tim McNally says, adding that Primorsky’s fresh air and open spaces will be novelties for many visitors. The operator of NagaWorld in Phnom Penh owns one of Primorsky’s three casino projects under development to join Tigre de Cristal, open since November 2015. Most relevant to the gaming business, Primorsky IEZ is 15 minutes from the airport with flight times under 90 minutes to Harbin and Changchun. Primorsky also shares land borders with northeast China’s Heilongjiang and Jilin provinces, is under two hours to Seoul and less than three hours to Beijing, Shanghai and Tokyo. In each instance, Primorsky is closer than Macau. Russia offers visa-free entry to South Koreans – Primorsky’s fastest growing visitor group, though Chinese account for roughly two-thirds of foreign visitors – and Primorsky has liberalized visa policy to 18 countries including China and Japan, with online visas often provided within hours of application. Shestakov says officials are looking at easing visa requirements further. Tourism officials are also working to improve air connectivity. Shestakov notes that Singapore’s Changi Airports International became a partner in Vladivostok International Airport in 2017. “We’re both interested in increasing the number of international flights,” Shestakov says. In 2018, international passenger traffic surpassed one million for the first time, rising 47% to 1.15 million. Traffic on South Korea routes grew 73%.